JR Sod Cutter 12" & 18"
Good Balance, Easy Handling - Maximum traction and self-propelled action - 90% of the machine's weight is on the knob tread drive wheels. Power for the Long Haul - Available with a 5.5-hp Honda® or a 6-hp Briggs & Stratton®; Built to last cast-iron gear case. 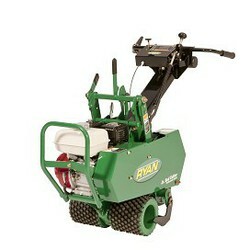 Easy Depth and Blade Angle Adjustment for Varying Soil Conditions - Optional trenching and mole blade attachments. Optional Tote Trailer for On-Road Trailer Use - Transports Jr. Sod Cutter, Lawnaire® IV and V Plus aerators. With walking ram cut-off and forward metering wheel. Cut and roll 3 acres per day. Easy to reach control levers. Automatic vertical cut-off with a disc clutch and brake. 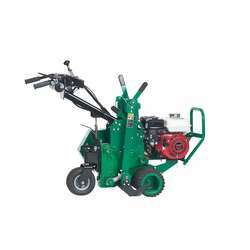 RU-544854G RYAN HD SC, 18" 13HP HONDA 18" Heavy Duty Sod Cutter Honda GX390 13 18 Precise Adjustment up to 2.5 90% of the units weight rests on the cast iron drive wheel. 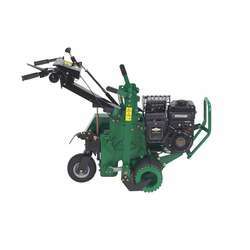 RU-544951H 12" RYAN JR SOD CUTTER, 6HP BS VAN 12" - B&S Vanguard 6.5 HP Briggs & Stratton Vanguard 6.5 12 Adjustable to 2.5 90% of the units weight rests on the cast iron drive wheel. 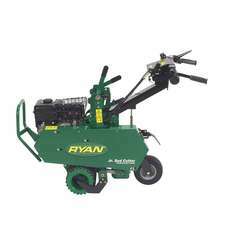 RU-544952H 18" RYAN JR SOD CUTTER, 6HP BS VAN JR Sod-Cutter 18 Briggs & Stratton Vanguard 6.5 18 Adjustable to 2.5 90% of the units weight rests on the cast iron drive wheel. RU-544953C 12" RYAN JR SOD CUTTER, 5.5HP HONDA 12" - Honda GX160 Honda GX160 5.5 12 Adjustable to 2.5 90% of the units weight rests on the cast iron drive wheel. 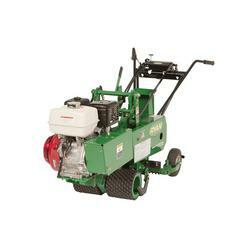 RU-544954C 18" RYAN JR SOD CUTTER,5.5HP HONDA JR Sod-Cutter 18 Honda GX160 5.5 18 Adjustable to 2.5 90% of the units weight rests on the cast iron drive wheel.